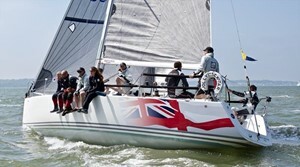 JJT will be looking for a max of 10 crew to conduct race training over 3 days at Cowes. There is a personal contribution cost of £65 for 3 nights accommodation and food on the boat. Plan will be to depart late afternoon from Gosport time tbc on Thur 18 Apr 19 and return late afternoon Sun 21 Apr 19. Race training will take place daily starting at 1100 with on the water coaching and end of day debriefs in the yacht club. Please email interest to above contact.